It’s better to have loved than lost, they always say. And that’s exactly what you can do on this online dating site. 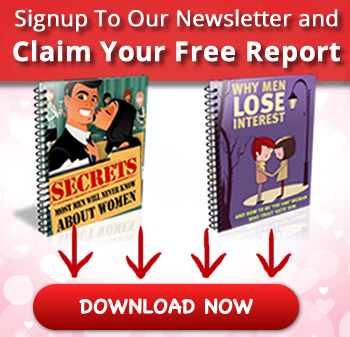 JustBlackSingles.com is part of the ‘JustDating’ line of sites which caters for almost every type of single out there. 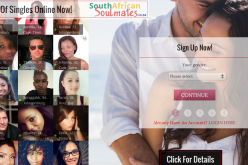 This site is exclusively for the black single and involves and easy setup with plenty of questions which help you definite just who you are (in so many words): occupation, marital status, children, smoker, height, drinker, build, hair length and more are all featured as options to fill in when signing up. It’s important to show your interests as well, because the site matches you up with potential lovers via ‘encounters’. If you ‘favourite’ or like an individual, you’ll be show more matches like them. To access the better features of the site, like messaging or sending gifts, you’ll have to upgrade, but on most counts, this is totally worth it. There are literally thousands of black hotties on the site, which encourages black on black dating. There’s a lost a really cool floating tool bar which allows you to easily access your inbox, winks, views and account. What’s even better, is that the site is looked after by Online Dating Protector, which ensures your complete privacy and filters out all the fake accounts and spam – you want to know it’s real when you find it. You can open your own dating diary once you’re a full member, and read the diaries of others too. It’s quite a personal thing to do, but it really helps you open up to the people around you. This way, when people approach you, you’ll know they’re doing it for the right reasons. Searching is relatively easy as well, you can search by postal code and refine your searches according to the age group you’re interested in. 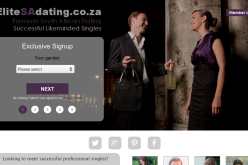 Overall, another good addition to the ‘JustDating’ online dating sites. It’s perfect for mingling with other black singles near you. Number of Members: Over 2 million potential love matches. Video Uploads: Yup. Create your own video profile and wow all the singles near you. Or far away from you for that matter. Match Questions: Nope. You’ve got encounters (much like other online dating sites in this ‘JustDating’ franchise) which help the site decide which matches are best for you. Privacy: This site is privacy conscious. You can ignore anyone who freaks you out and set the age and details of members you’d like to contact you: i.e. between the ages of 18 and 20 located within 10kms from me. Cost: You’re encouraged to upgrade as this unlocks most of the features (like messaging people back) and will cost between R70 and R105 per month, depending on the package you select. Email Notifications: Yup. You can choose which notifications you’d like to receive. 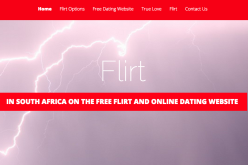 – If you join this ‘JustDating’ site, you’ll likely be refused access to the others. – You get less for free, but quite a bit for a nominal fee.